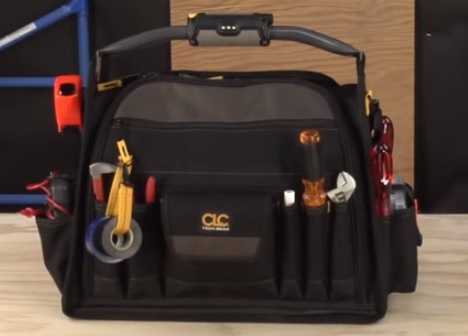 Buying a HVAC tool bag is something that very much must fit the user. 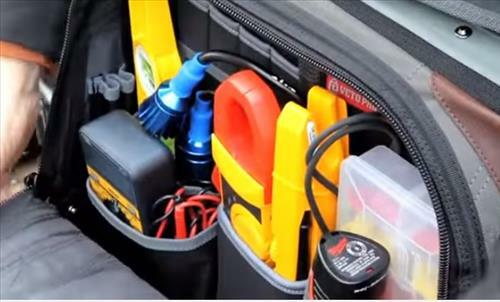 A tool bag can be the best available and will not be any good unless it feels right to the person using it. Many things can effect this from the packet layout to the handles used to carry it about. 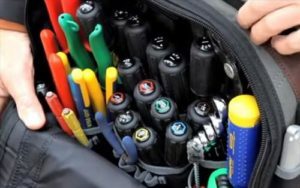 Everyone will have their own idea on what makes a good HVAC tool bag so lets have a look of some popular units available. Using a standard five gallon bucket as been used forever as an easy tool carrier. I often load tools into a five gallon bucket for installs, service calls require a more professorial look but for quick loading and a handle along with a rope can quickly be raised to a roof, five gallon buckets have their place. 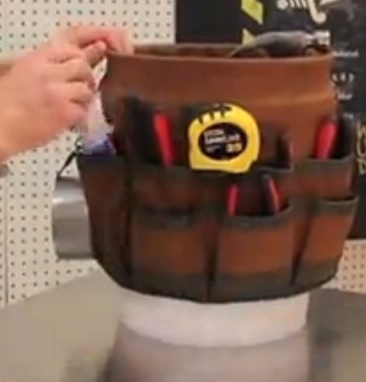 Taking this concept a step further is tool bags that slip onto a five gallon bucket combining the two. The Bucket Boss Bucket Boss is a popular option with many others to choose from. This bag from Veto Pro Pac was built specially for HVAC technicians. It is made of neoprene so it is built to last. 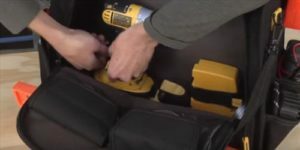 One side has large pocket to hold multi meters, screw buckets, or anything that requires a larger pocket size. The other side has a tool pocket configuration for small tools. The outer pockets have smaller quick access pockets for cell phones or tools that are used the most. It has a heavy duty strap that can be carried over the shoulder or a rubber grip handle. 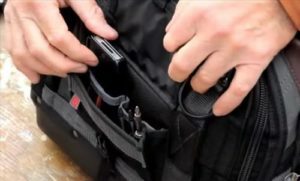 The L245 has 42 pockets and has a nice design. It has nice big pocket that give it lots of space. Two large pockets on both sides carry tools, one side is for large tools and the other side for smaller tools. The outer pockets have many small pockets to carry around miscellaneous items. There is no doubt many good options for tool bags available for heating and cooling technicians. 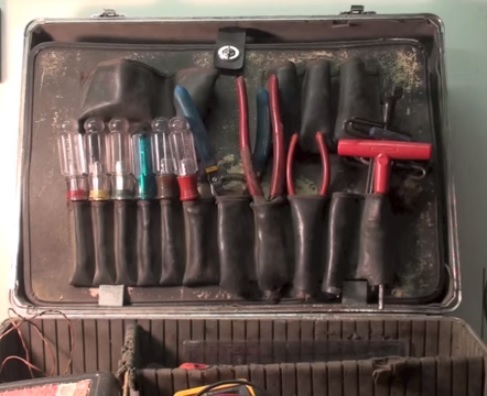 From cheap to expensive there is lots of different styles for carrying tools. The main point will be what works for you making your job easier and done quicker. Often what works for one person doesn’t work for another. 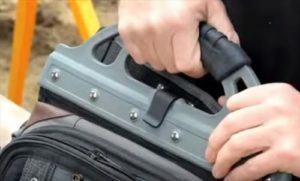 One person may have larger tools they like or be left handed which changes the way a case is carried. The above cases are simply ones that we like and use. 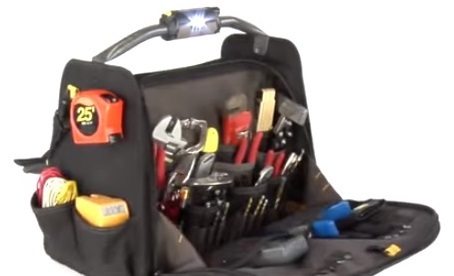 Which ever tool bag is bought be sure to read the reviews on Amazon or elsewhere to be sure it is a good fit for you.